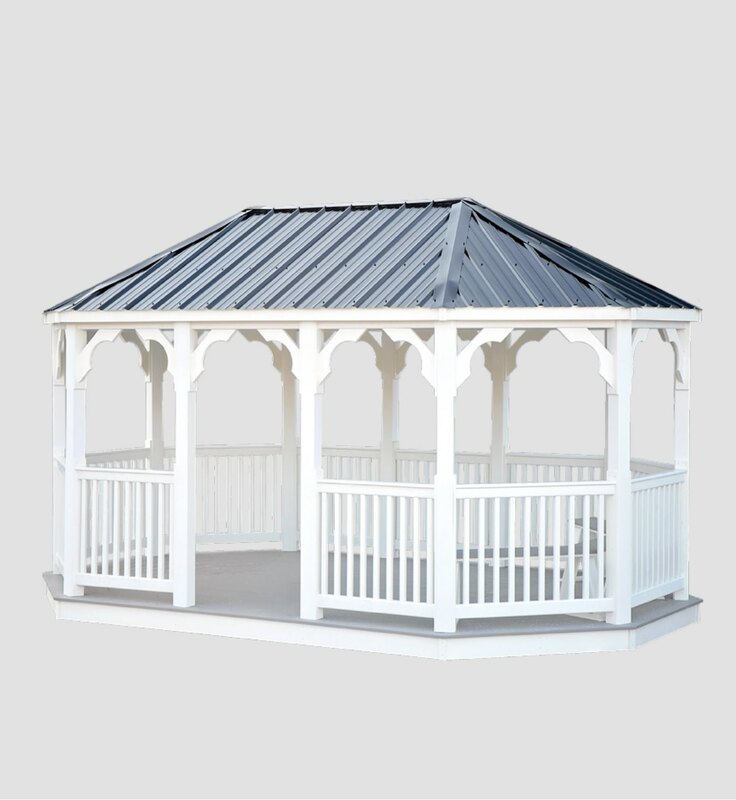 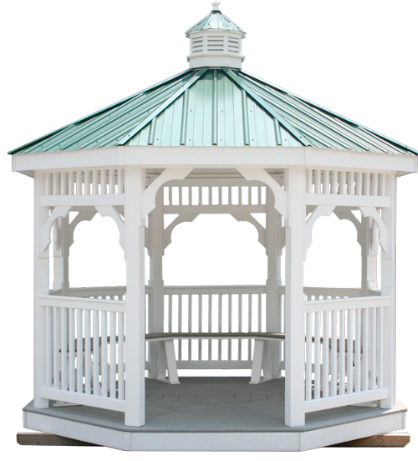 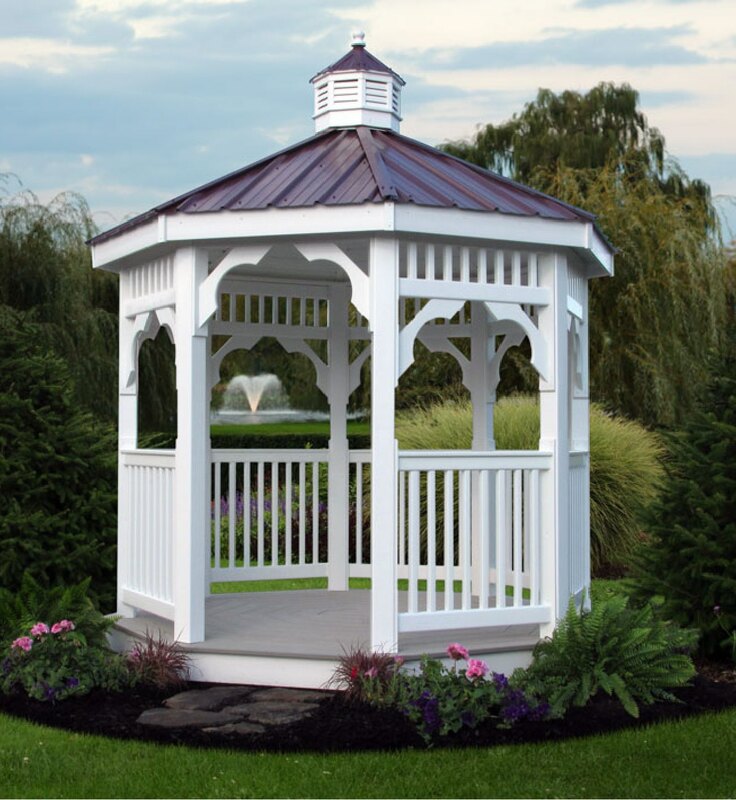 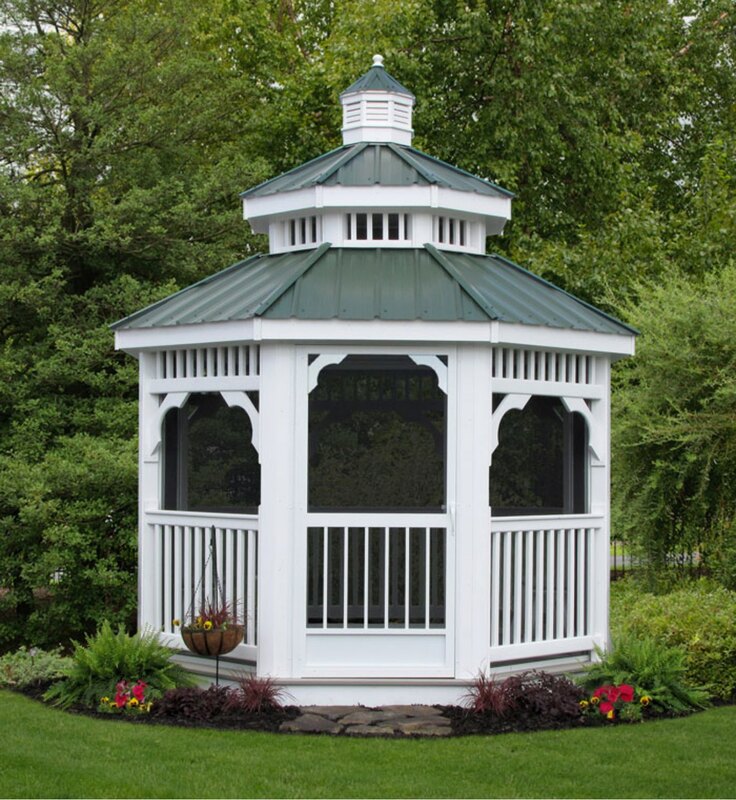 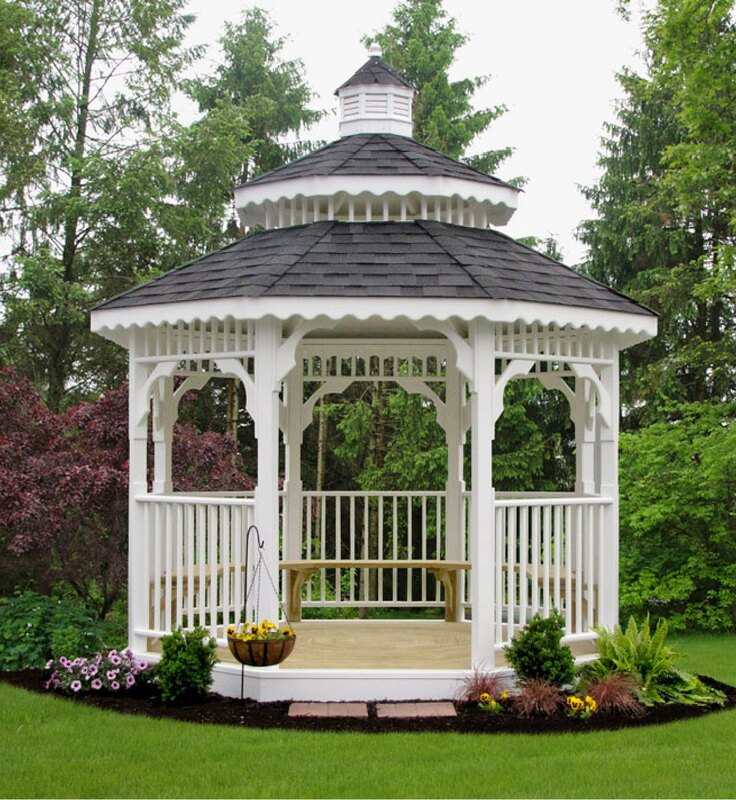 Our vinyl gazebos are built with a wood structure that is made of pressure-treated lumber and then covered with vinyl. 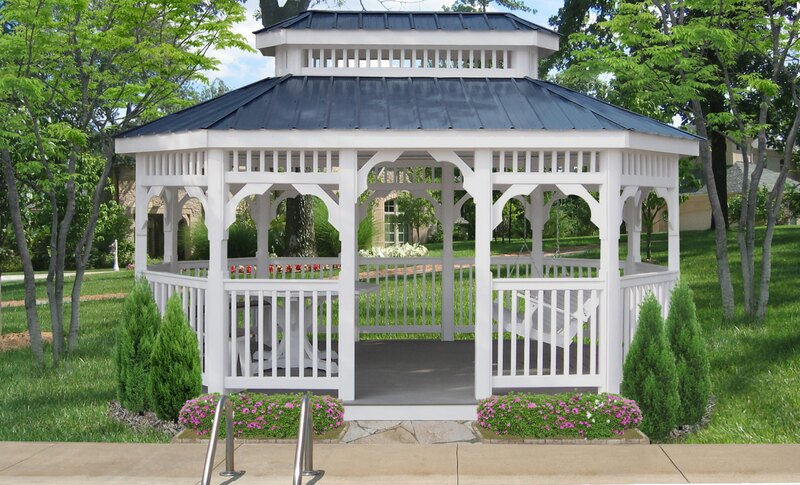 Composite decking is used for the flooring. 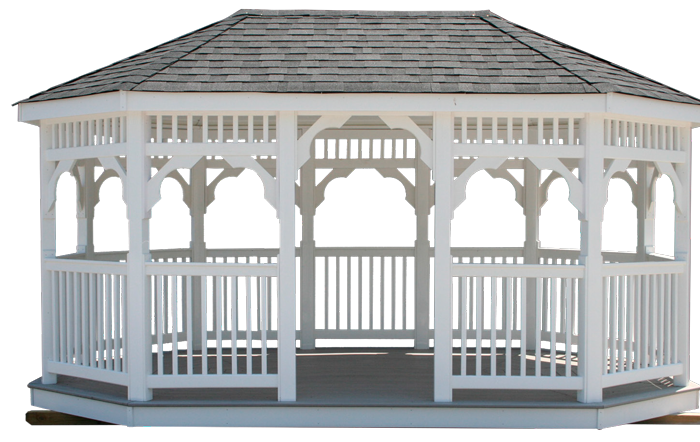 The ceilings have a vinyl Soffit covering. 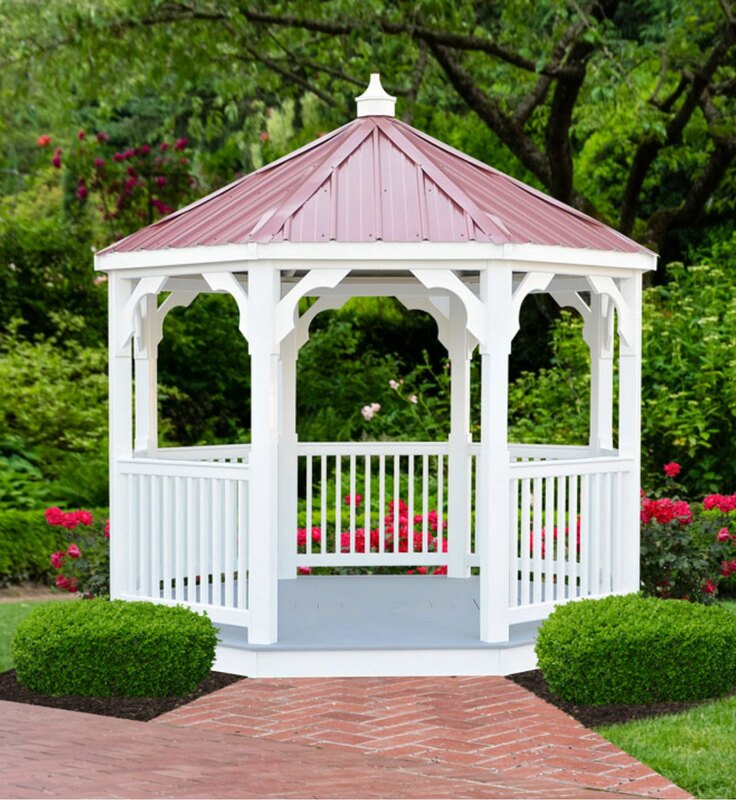 We settle for nothing less than a top-quality maintenance-free gazebo that is both elegant and durable. 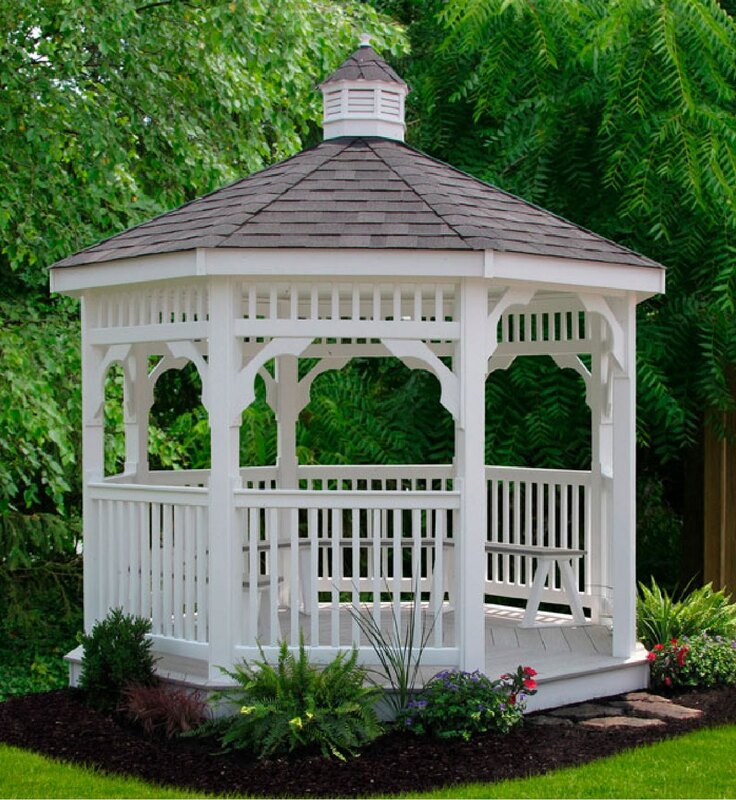 Neither should you.